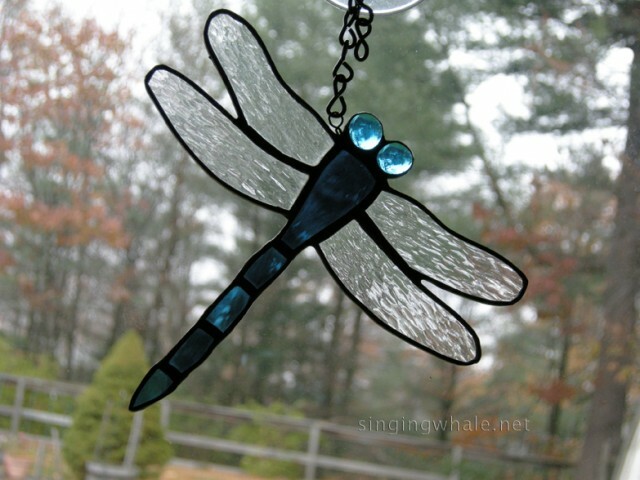 These have proven to be very popular since the dragonfly is a powerful token and totem for many people. The most popular have been made in this blue, in teal, and in red/amber. 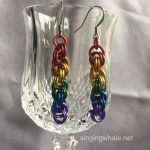 I’ve also made them in rainbow colors. Wings are typically made using either small hammered glass or glue chip for a natural feel. Read the dragonfly blog post to see more about this pattern.